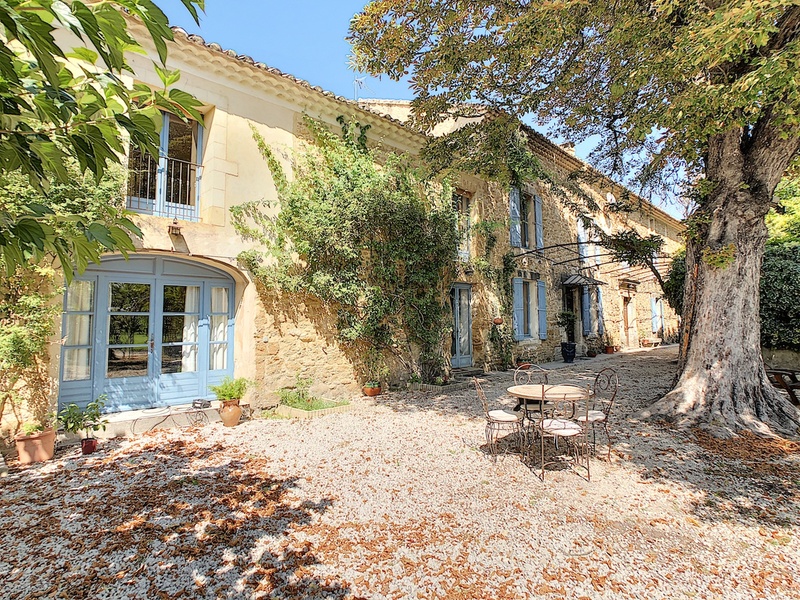 Near the center of Althen-des-Paluds with easy acces to Avignon, high potential of more than 640m ² habitable for this farm house comprising 5 guest-rooms and a gite with no « vis-a-vis » and in absolute calm. This former farm and master house of the eighteenth, with a living area of about 640 m² to be refreshed is composed of 2 main houses (163 and 186m²). It includes 5 guest rooms en suites and a cottage. It will be perfect for a large family and can also accommodate a bed and breakfast activity, as it has already been. Attics, large outbuilding of 109m ² and 66m ² of offices on a ground (that can welcome) a pool of more than 5000m ² with fruit trees and drilling. Motorway access 10 min, Avignon TGV station 20 min and Marseille Provence international airport 45 min.